Nostalgia is the definitive biography of Mina Byrne, obscure avant-garde poet, painter, lamp-shade maker, and never-before-suspected muse of infamous Russian-American novelist, Vasili Novikov, and his son, Andrew Brennan, Pulitzer Prize-winning playwright. Over ten years in the making, the novel draws from unpublished manuscripts, letters, and poems, reconstructing hypothetical paintings and lost photographs, reinventing forgotten eras, crisscrossing continents, and following its own laws of space and time. This groundbreaking portrait of an unknown and possibly plagiarized life presents a metafictional map of literary obsession, sexual betrayal, and monstrous megalomania. Traversing the landscape of a derelict past, we encounter schizophrenic sons, repressed philosophers, pugilist film stars, vampiric fathers, spectral butterflies, eccentric aunts, flamboyant flaneurs, reclusive mothers, bawdy vaudevillians, tittering dilettantes, absurd futurists, and one of the most unromantic heroines imaginable. 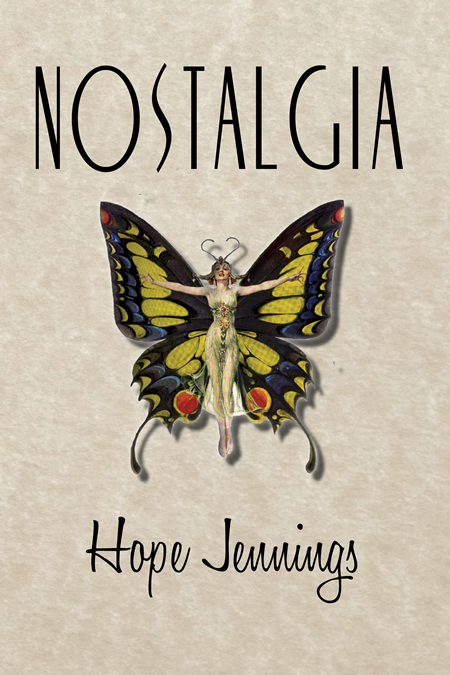 HOPE JENNINGS was born in Brooklyn, New York. She received a B.A. in Interdisciplinary Studies and British Literature from Hunter College-CUNY and a Ph.D. in English from the University of St. Andrews in Scotland. She lives in Dayton, Ohio, and is an Associate Professor of English at Wright State University.